The A. Piatt Andrew Bronze Doors, once attached to the bridge by the same name, now can be properly viewed at the inner entrance of the Cape Ann Museum. Averse to viewing these doors on the bridge, passing by at 40 - 50-MPH, this is a much more benign venue. 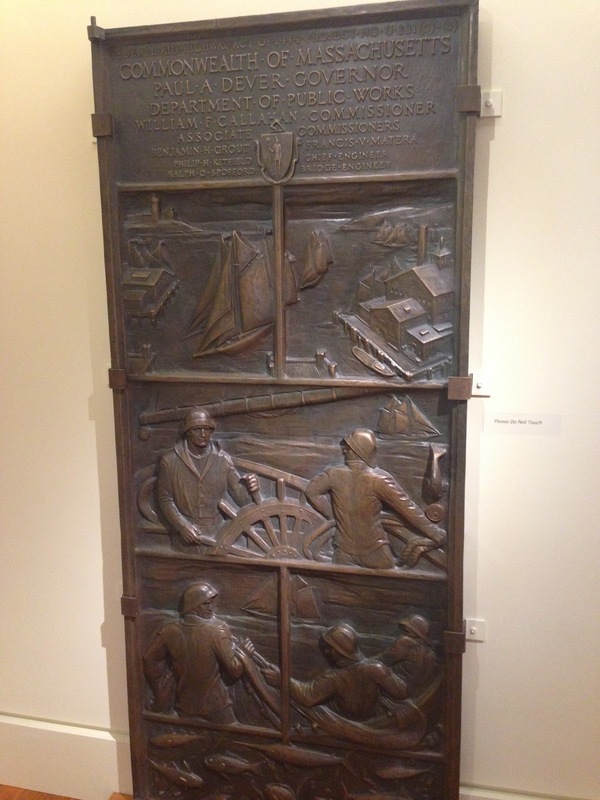 Discovering these bronze doors, created by Boston sculptor John F. Paramino, I was pleasantly surprised this summer, with the display of these doors and the newly renovated Cape Ann Museum. 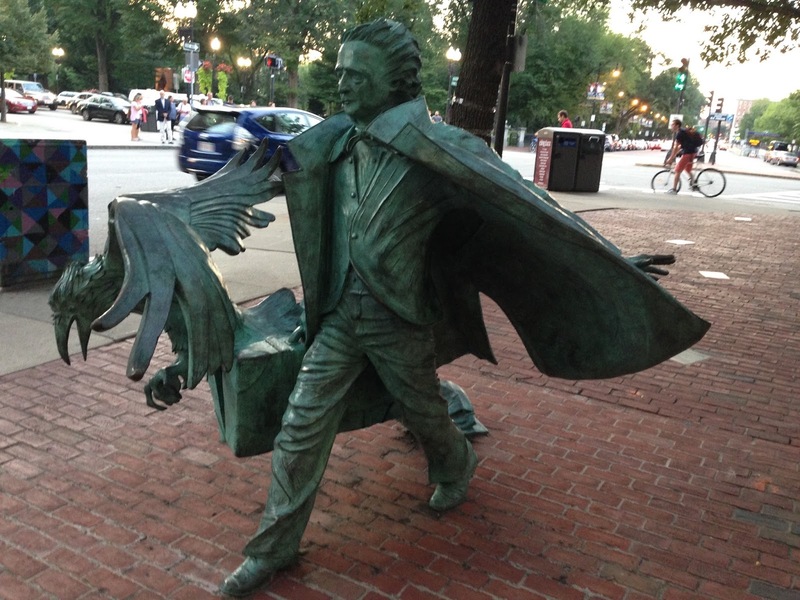 Here this public art is properly displayed for the public. 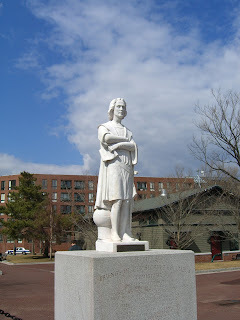 The A. Piatt Andrew bridge,which connects Gloucester to the mainland, was dedicated to the Gloucester resident Abram Piatt Andrew, as the photo below depicts, "Soldier, Scholar, Statesman". Boston sculptor and native John F. Paramino, who created this monument, attended North Bennett Street Industrial School in Boston's North End; later he was a pupil of Bela Pratt and assisted both Pratt and August Saint-Gaudens. Beginning as a designer of commemorative medals and plaques, Paramino cornered the market on plaque production in Boston under Mayor Curley. In 1931 he was accused by a Boston city councilor of running a monopoly and of charging twice the going rate, but his supporters defended him successfully. 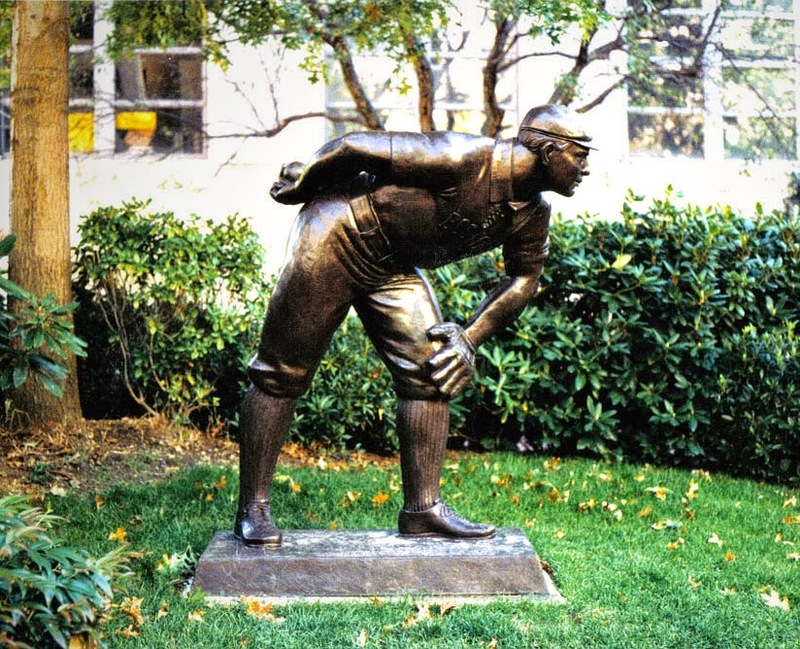 Many of the city’s bronze historical markers are signed with his name. Declaration of Independence Monument, The Lafayette Mall Monument, The Commodore John Barry Monument, The Founders Memorial all located on the Boston Common; The Second Church Plaque, positioned on the only Charles Bullfinch Church remaining in the United Sates on Hanover Street Boston, MA and of course The World War Two Memorial on the Fenway Boston, MA just to mention a few of his works. 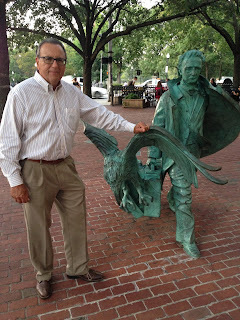 Joe Gallo author of "Boston Bronze and Stone Speak To Us"
The above Bronze door signifies A. Piatt Andrew's acquired titles and honors, as a public servant, both in America and abroad. 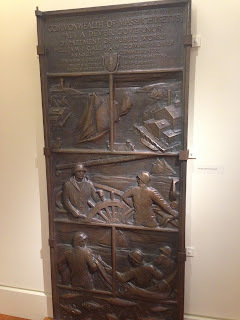 The lower door photo represents the Gloucester, MA (America's oldest fishing industry seaport) and the fishermen who risk their lives each day for us out on the seas. Some general facts about Abram Piatt Andrew, Jr., taken from Wikipedia for those of who are unfamiier with his lifes' accomplishments. 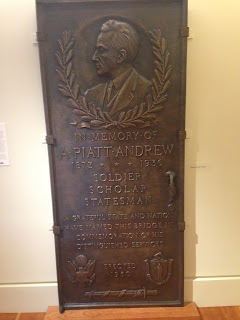 Abram Piatt Andrew, Jr. (February 12, 1873 – June 3, 1936) was an economist, an Assisant Secretary of the Treasury the founder and director of the American Ambulance Field Service during World War I, and a United States Representative from Massachusetts. He studied at the Harvard Graduate School of Arts and Sciences from 1893 to 1898, graduating with a Masters degree in 1895 and a doctorate in 1900. He later pursued postgraduate studies in the Universities of Halle, Berlin, and Paris. 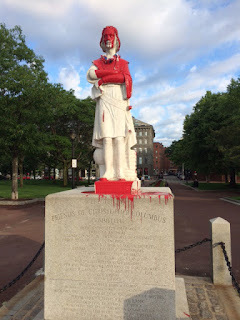 He moved to Gloucester, MA and was instructor and assistant professor of economics at Harvard from 1900 to 1909. In January 1907 Andrew published a paper that anticipated the economic panic that hit in the fall of that year. On the strength of this paper as well as on his strong economics education, Andrew was selected to serve on the National Monetary Commission tasked with reforming the American banking system. Andrew took a leave from Harvard and spent two years studying the central banks of Germany, Britain and France. He served as Director of the U.S. Mint in 1909 and 1910, and as Assistant Secretary of the Treasury during 1910-1912. He attended the historic meeting at Jekyll Island 1910. The commission's report recommended the creation of the Federal Reserve System. Andrew foundered the American Ambulance Field Service. Andrew drove an ambulance in the Dunkirk sector for a few weeks during World War I but his supervisor suggested bigger plans for him. French army policy prohibited foreign nationals from traveling into battle zones. In March 1915, Andrew met with Captain Aime Doumenc, head of the French Army Automobile Service and plead his case for the American volunteers. They desired above all, he said, "To pick up the wounded from the front lines…, to look danger squarely in the face; in a word, to mingle with the soldiers of France and to share their fate!" Doumenc agreed to a trial. The success of Andrew's Section Z was immediate and overwhelming. By April 15, 1915, the French created American Ambulance Field Service operating under French Army command. Andrew headed the organization, soon shortened the name to "American Field Service" throughout the war, though his role changed significantly when its ambulance sections were taken over by the United States Army in late summer 1917. Andrew established a domestic organization based in Boston to recruit young American drivers and to raise funds from wealthy donors. The stateside office was headed by Henry Davis Sleeper and assisted by Henry Hays Hammond and former ambulance driver both Gloucester residents. Andrew was elected as a Republican to the Sixty-seventh Congress to fill the vacancy caused by the resignation of Willfred W. Lufkin ; he was reelected to the Sixty -eighth and to the six succeeding Congresses and served from September 27, 1921, until his death. He died on June 3, 1936, in Gloucester, MA , at his home "Red Roof" from influenza , which he had been suffering from for several weeks. "Boston Bronze and Stone Speak To Us" sold on Amazon.com and in local book stores. A most Wonderful Letter about" The USS Boston and the Japanese Peace Bell" 1945. 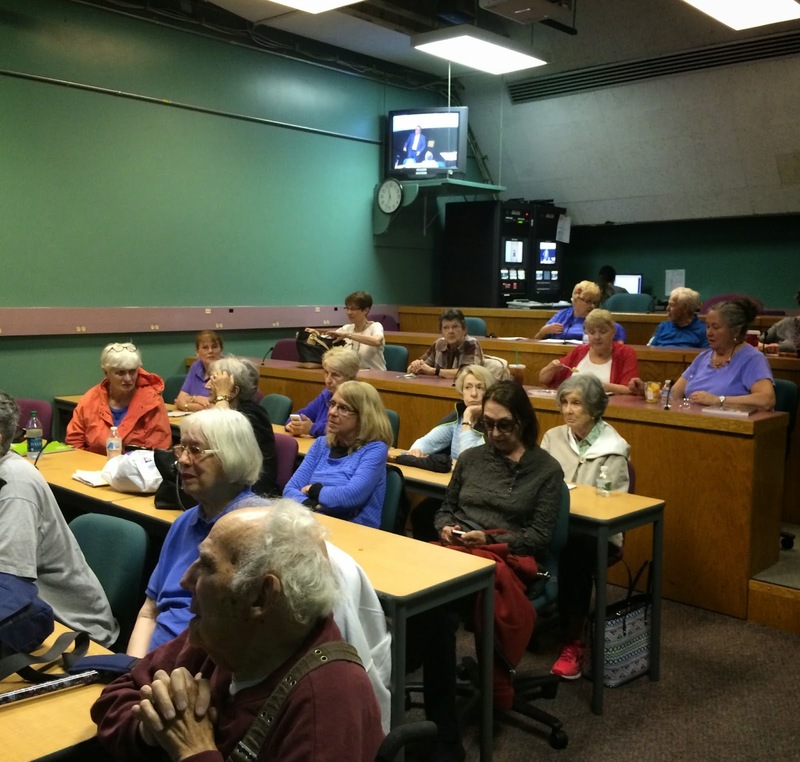 A thank you letter from Lola Heiler- Stillman about my talk at the University of Mass OLLI lecture series. "Thanks Joe for your kind reply. I too have been laid up with medical problems - had hip replacement surgery in early June and now am going through PT to strengthen/straighten leg/hip. I finally got a chance to order your book from Amazon as gifts for two of my friends who love Boston and its history. One is an "OFD" (Originally From Dorchester) like me whose dad retired from the Boston public school system after 30 years of teaching high school history. We both share a love and passion for the city of our birth and a desire to educate in our own unique ways. She was the person who introduced me to OLLI at UMass Boston and helped me present a Quincy Access TV program on the bell/USS Boston and its connection to the city of Quincy (built at Fore River Shipyard in 1942/launched in 1943). The Boston Courant did a brief article on the bell for this past week's edition. The writer Jordan Frias was looking for a tie-in to WW2 70th anniversaries so I suggested he focus on 1945 when the USS Boston sailors found the bell at the Yokosuka weapons depot/foundry during the occupation. I also stressed that 2015 is the 340th anniversary of the bell's casting. I continue to look forward to educating the public about Boston's peace bell and hope to write a monograph for the Emerald Necklace Conservancy that will be available to the public when they visitor the Shattuck Visitor Center in the Back Bay Fens. Also plan to continue my relationship with OLLI UMass Boston by doing a presentation on my hero Frederick Law Olmsted and his Emerald Necklace parks next spring. Will include a tour of the Back Bay Fens as part of the program. I love what OLLI stands for so whatever contribution I can make brings me joy. You as well have inspired me in my own Boston historic pursuits and I'm so glad to have had the opportunity to meet you in person. "Forged in 1675, the 450-pound bell rang for centuries in religious ceremonies at the Manpuku-ji temple in Sendai. During World War II, the Japanese government compelled its citizens to donate metals to be smelted down and turned into artillery, and the bells were granted no exception. As a result, nearly 95% of all of the temple bells in Japan were lost. During the American invasion of Japan, Navy soldiers found 500 bells ready to be repurposed into weapons of war and took several back to America. Capt. Marion Kelley of the USS Boston brought this particular bell back in 1946.Over the next decades, all but one of the bells were returned to their original homes in Japan as diplomatic gestures. 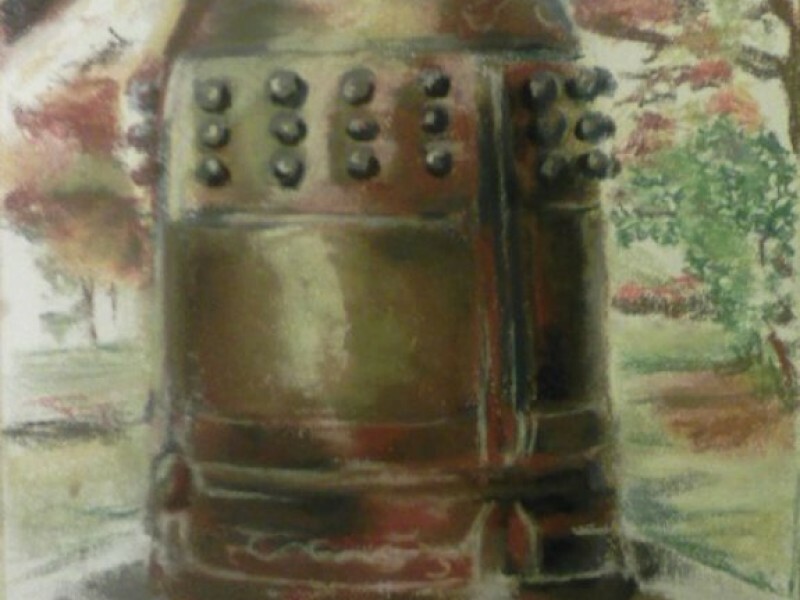 When the US State Department contacted Sendai in 1953 to arrange the bell’s return, a group called the Temple Believers offered to allow the bell to remain in Boston as a gift. 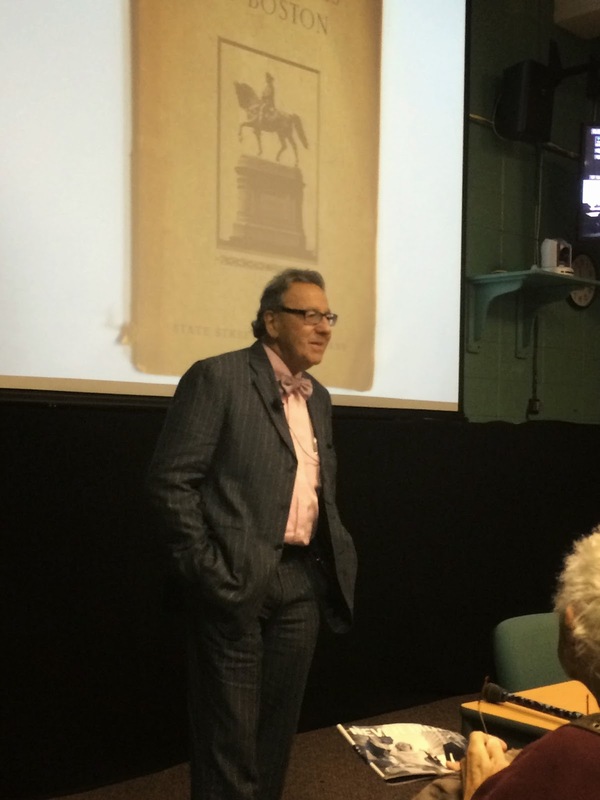 'They were donating it in the spirit of peace and friendship between the two cities,' says Heiler-Stillman." 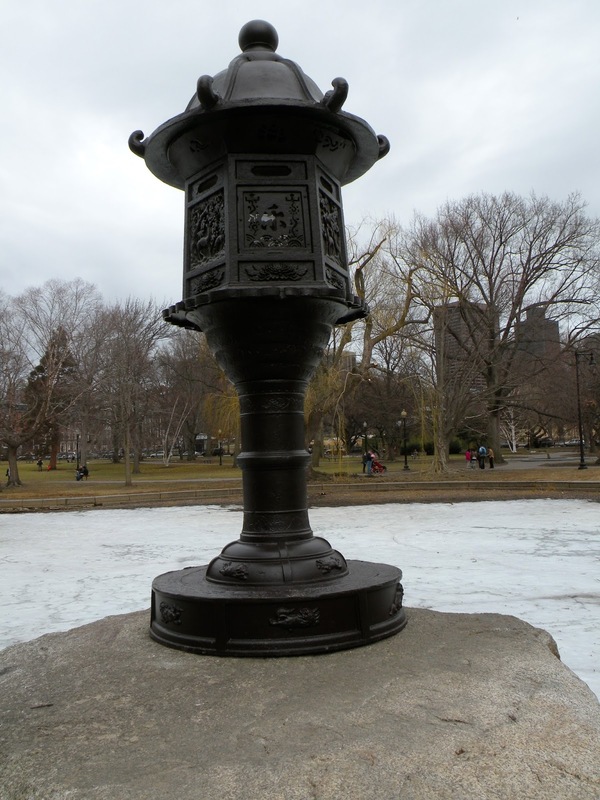 Ornamenting Boston’s beautiful Public Gardens, this iron lantern was a gift from the people of Japan in 1904. The lantern is symbolic of the light brought to gardens by other Japanese lanterns and was donated by Japanese art dealer Bunkio Matsuki. Since the 7th century such lanterns were used in Buddhist temples and shrines. Matsuki was born in Japan where he was trained as a Buddhist monk but he immigrated to Boston in 1888 where he established a business promoting Japanese art. Taken from "Boston Bronze and Stone Speak To Us"
"Boston Bronze and Stone Speak To Us" can be purchased at Old North Gift Shop , Faneuil Hall Gift Shop and Amazon. Com. Homicide and The Needless Death of Our Young. The stone base of this monument symbolizes “Tragic Density” and the bronze Ibis ascending represents “Hope”. 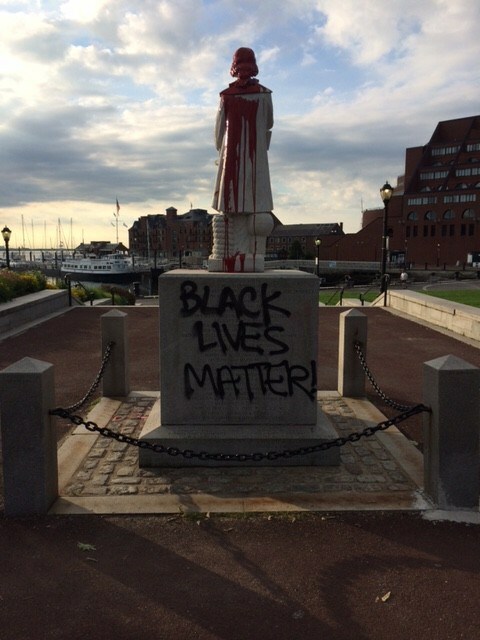 It was erected to honor the loss of innocent lives especially on our city streets. 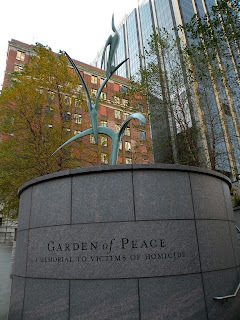 This serene Garden of Peace captures in bronze and stone the hopes of all who dream of living in peaceful communities, societies, and a peaceful world. a living reminder of the impact of violence. our community, and the world. A personal tragedy inspired this universal symbol of sudden death that can effect any of us at any time. 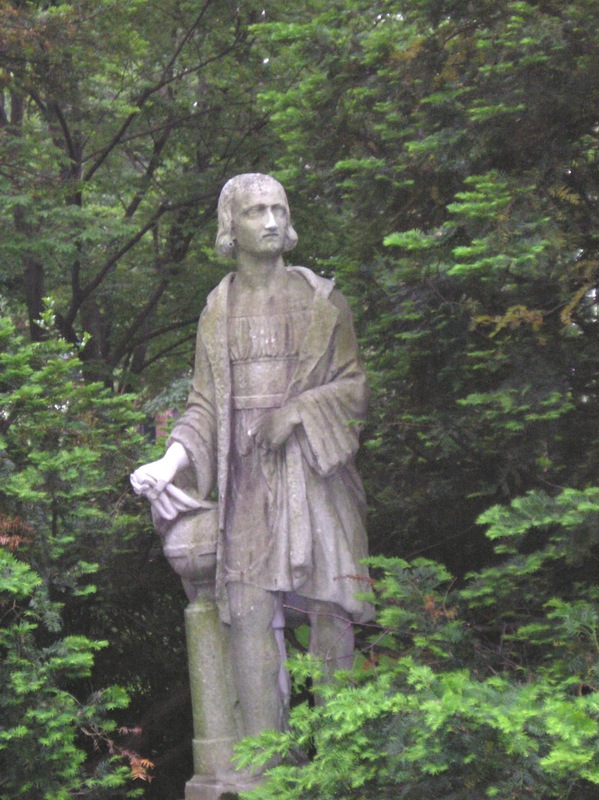 The Drucker family commissioned this sculpture in honor of their deceased daughter and sister, Nancy, who was killed in a car accident in 1975. They donated the piece to the city and dedicated it on May 30th, 1978, the date of Nancy’s 28th birthday. 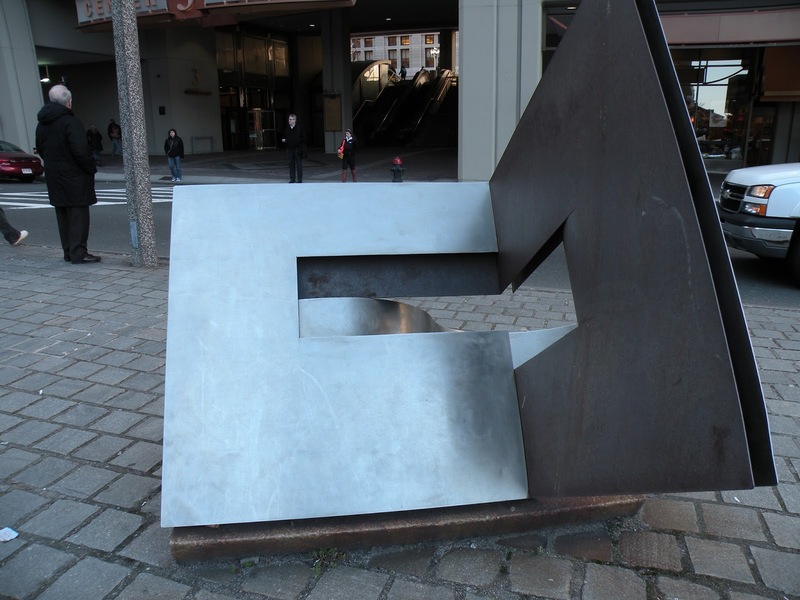 Although the sculpture might be said to resemble an open book, it is primarily abstract. The two materials used to create it stainless steel and Cor-Ten steel create contrast in the work’s surface as the Cor-Ten half rusts with exposure to the elements, and the stainless half resists that decay. The Cor-Ten surface, then, marks the passage of time as it corrodes, alluding to our collective mortality, while the stainless element retains its sheen, as does Nancy’s memory through this memorial. Happy Birthday to JFK Remembered. 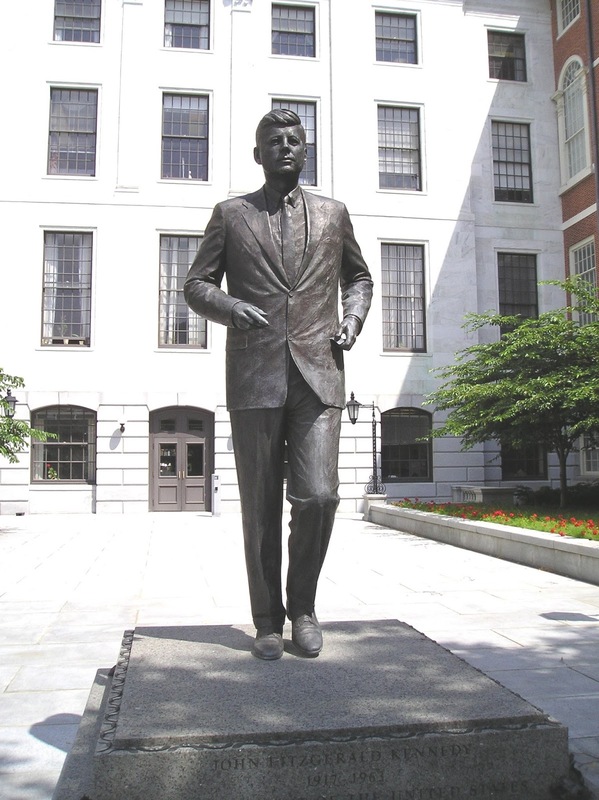 This bronze statue of John F. Kennedy, the35th President of the United States. Dedicated on May 29, 1990, was designed and sculpted by Isabel McIlvain and paid for by the contributions of private citizens. Bsoton Monument Boston Landmard Talk and Tour through "Boston Bronze and Stone Speak To Us. 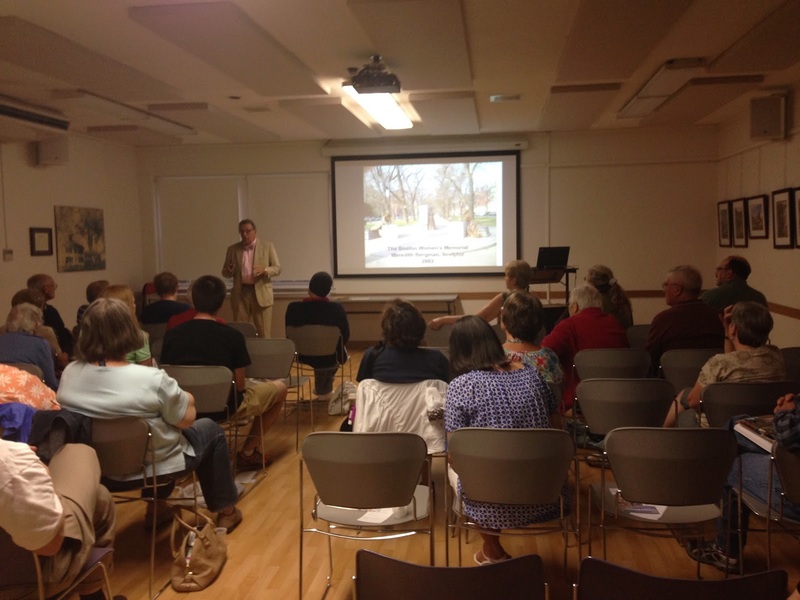 A delightful gathering of over 30 people wanting to know more about Boston's Monuments and Boston Landmarks at Wilmington, MA Memorial Library. 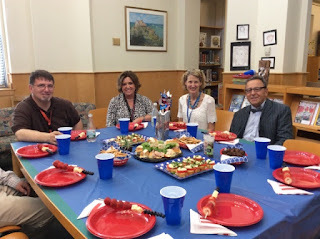 First the healthy luncheon prepared by Mr Gallager and staff and then the Boston Monument Art and History Talk by Joe Gallo of "Boston Bronze and Stone Speak To Us"
joe -- Here is a picture of our luncheon today. It is Ed Dube, me, you, and Anne Carothers, principal. Your presentation was the best yet! Thank you for taking so much time to arrange a new slideshow and emphasize all of the images that connect to our students and curriculum. We are so very fortunate to have you as part of our team! The 86 middle school students of Ms Gallagers's 7th grade class were excited and inquisitive as in the past. Creativity, the theme, effect each one of us through our lives. We discussed creativity by the artists, who designed these monuments as well as the creativity of the people who these artists immortalized in bronze and stone. Boston Bronze and Stone Talk at U of Mass Boston a Success. 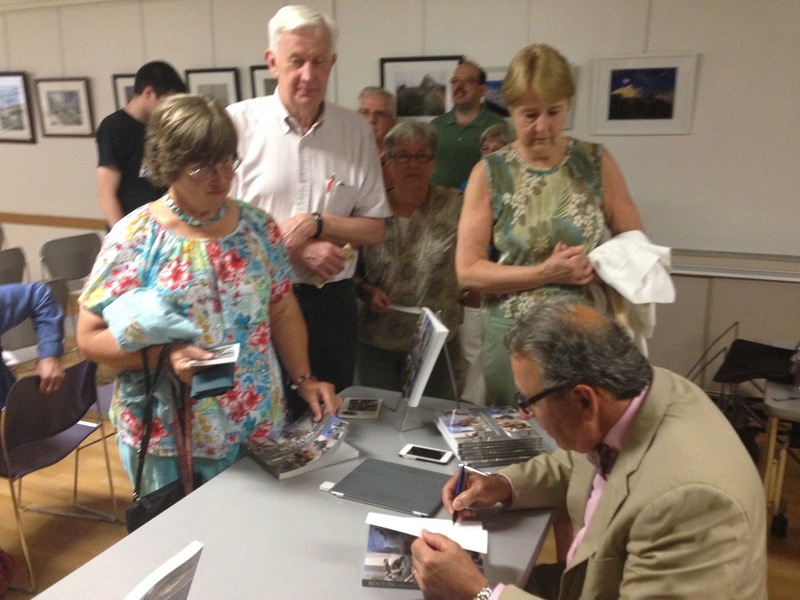 The main campus and satellite campuses were filled with eager students of all ages and over a 100 books were sold. 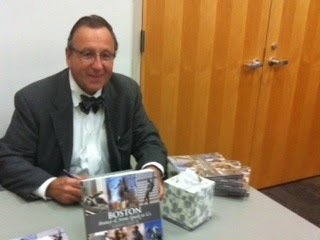 Thank you U Mass of Boston for a third visit to your university lecture series program. A new talk is scheduled at the Wilmington Memorial Library 175 Middlesex Ave Wilmington, MA on May 28, 2015 at 7:00 PM . The talk will consist of the practical use of the guide book in Boston as well as the importance of Boston Monuments to all of us as citizens of both the Boston area and America. All are welcomed. Remember :"Boston is America, America is Boston"
Books will be sold at a discounted price. 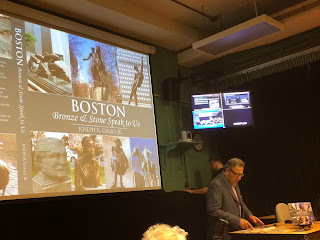 "Boston Bronze and Stone Speak To Us" can also be found at Faneuil Hall Gift Store, Old North Church Gift Store, Amazon.com and Barnes & Noble Book Stores. Boston Landmark a monument to the Beginning of Memorial Day Celebration. Upon entering the Massachusetts State House designed by Boston's own native son, Charles Bullfinch, a bronze monument resides. 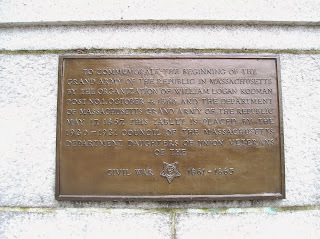 Memorial Day Monument, a Boston Monument Landmark. John A. Logan, is regarded as the most important figure in the movement to recognize Memorial Day( originally known as "Decoration Day") as an official holiday declared that May 30, 1868 be a "Decoration Day": decorating the graves of the war dead. However, the first people who used ritual to honor this country's war dead were the formerly enslaved black community of Charleston, South Carolina, May 1, 1865 three years earlier then Commander Logan's declaration on May 30th 1868. In the West African tradition of honoring their war dead by decorating the graves of their war dead back in Africa. The Charleston, South Carolina's Gullah people ( West African rice planters who were enslaved and sold at this port), Honored their fallen heroes both back and white on May 1, 1865 by having 3000 black children bearing roses with women and men bearing wreaths marched together decorating their fallen dead. Black troops were present including some of our 54th Massachusetts Volunteer Infantry Regiment. 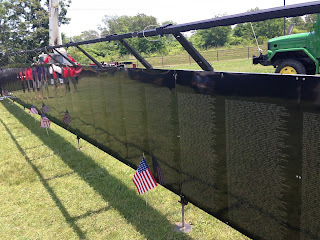 Thus our roots of our National Memorial Day commemoration. "Boston Bronze and Stone Speak To Us" the Boston Monument Guide Book can be purchased at Old North Church Gift Shop, Faneul Hall Gift Shop, Amazon.com and Barnes and Noble Book Stores. With all the shootings of citizens and police officers in Ferguson, Missouri; Baltimore, Maryland; and New York, New York let us remember our good law enforcement officers who protect and save lives every day for all of us. 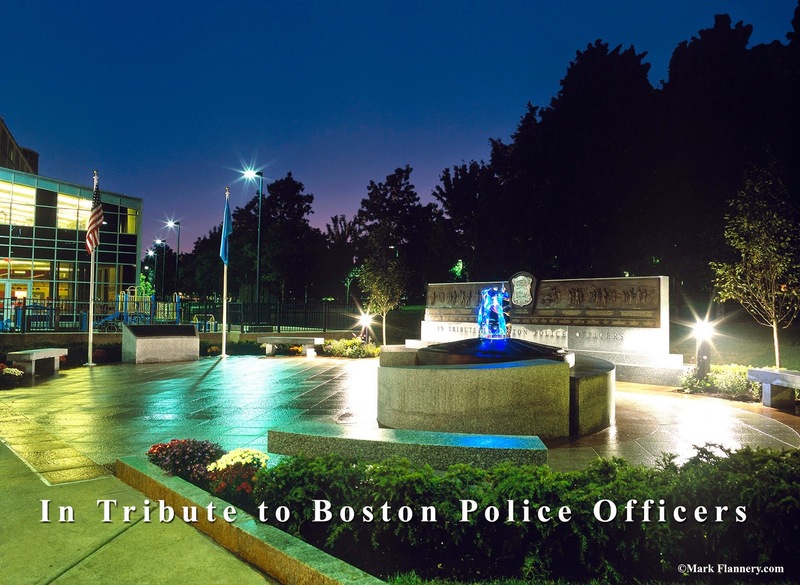 After a decade of planning, the Boston Police Department’s legacy of more than 150 years the oldest police department in the USA was finally immortalized. Since 1854, from the first watchmen to today’s Boston’s Police Force, Boston Police Officers have given their lives in the line of duty. 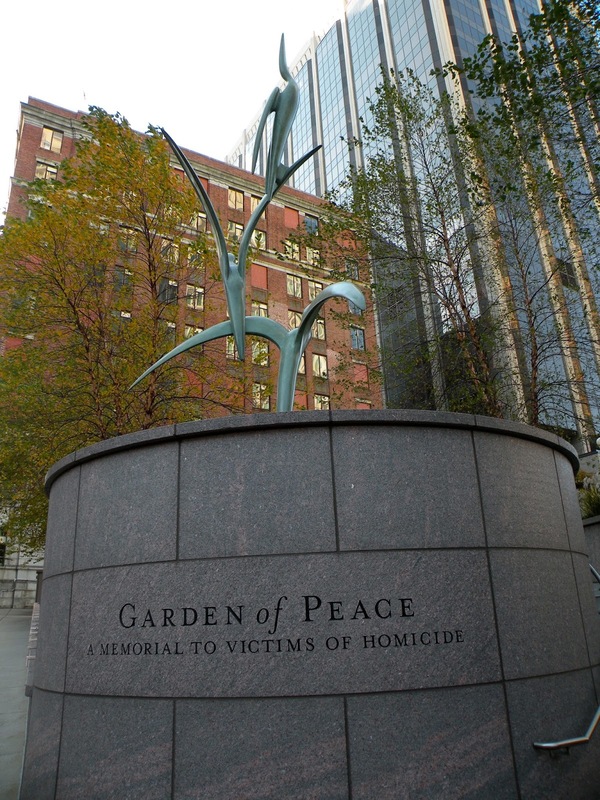 The unveiling of this memorial, a Boston Landmark, was completed and dedicated with Police Commissioner Kathleen M. O’Toole, Mayor Menino, 500 residents, and Rita Gallagher, 76, of South Boston. 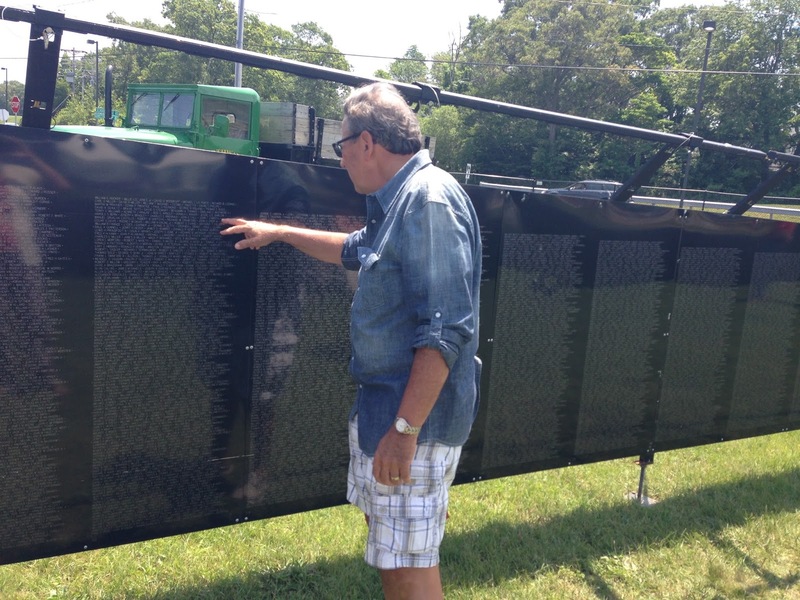 Rita’s husband, John, was shot dead at 33 years of age, in the line of duty. “This is beautiful,” she later told Bob Shure of Skylight Studios in Woburn, who created the memorial. “I just hadto say that to you.” The idea, the planning, the fund raising and the hard work to complete this police memorial for the oldest and finest police force in the country was accomplished by Capt. Bob Flaherty commander of the 4th District of the South End. The memorial was funded by officers, civilian employees and private grants that took over 10 years and $500,000 to complete. A BostonMonument Guidebook,"Boston Bronze and Stone Speak To Us" can be purchased on Amazon.com, Old North Church Gift Shop, Faneuil Hall Book Store and Barnes & Noble Book Stores.